Barney Thomson — awkward, diffident, Glasgow barber — lives a life of desperate mediocrity. Shunned at work and at home, unable to break out of a twenty-year rut, each dull day blends seamlessly into the next. 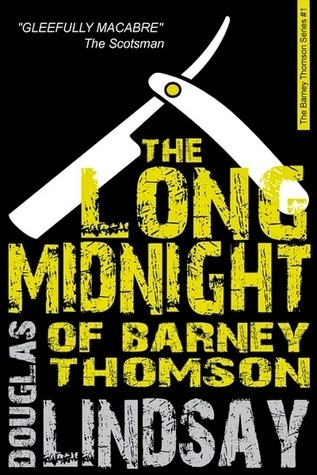 The Long Midnight of Barney Thomson was a joy from start to finish. It's a delicious black comedy that reminds me of the musical Sweeney Todd and the film The Green Butchers. The book had me laughing out loud and left me with a smile on my face. I only discovered this series because Robert Carlyle just finished principal photography on a film version in which he plays Barney (and directs), and as I was reading, I could picture him so perfectly in the role that I cannot wait to see the movie next year. I have already bought the other six books and four novellas in the series and cannot wait to read more of Barney's adventures soon.